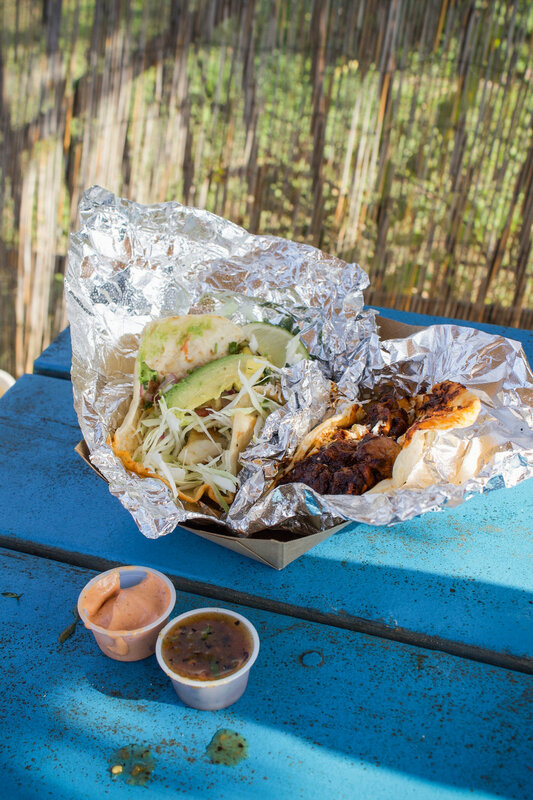 It was bright, hot, and sunny on our third day in Austin and we went hunting for some of the city's greatest tacos. So great that I decided to make a separate blog post highlighting the taco spots in case you find yourself in a similar situation someday. 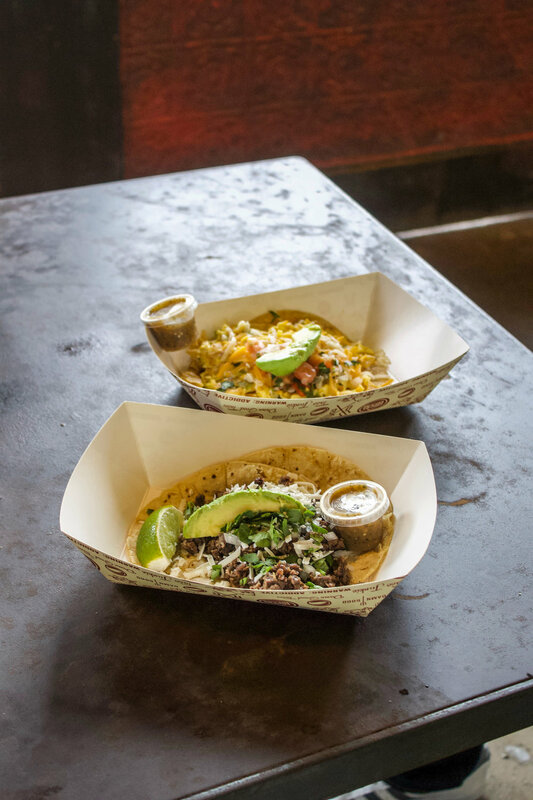 A couple things to remember when you're doing a taco crawl - first, small orders! The best part about ordering only one (mayyyybe two depending on your hanger) tacos at each stop is that it leaves you room for second breakfast, second lunch, and second dinner! Second, walk it off. We loved taking breaks to roam around the city and this is where we ended up playing ping pong and also walked through Barton Springs. Plus it gave us a little more room for an ice cream break hehe. Last but not least, flexibility is key! 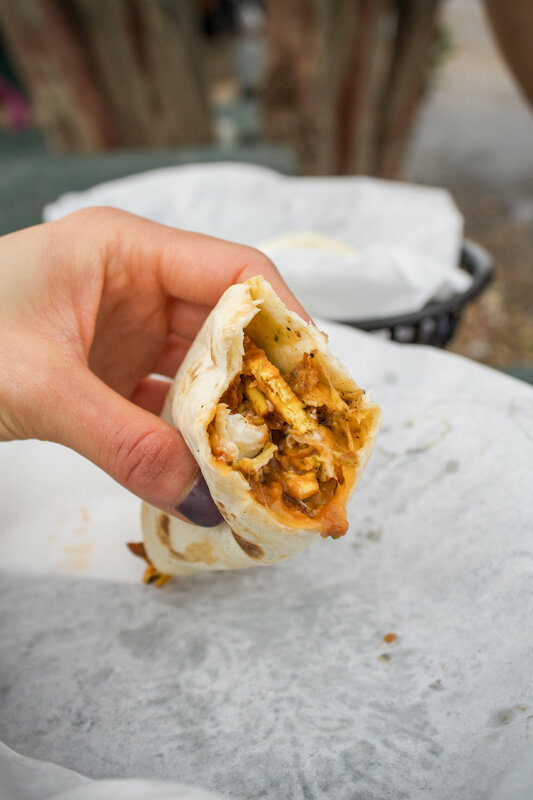 We initially wanted to walk everywhere but there would have been no way we could have made some of the stops that way, with Austin being gigantic and all these beautiful taco shops spread out along the city. So we nix'd that plan and went for the bus, which ended up leading to perfect timing. Save yourself the stress of a timeline and just go with it! You are eating tacos in the sun and laughing along the way. The potato and egg breakfast taco at Jo's Coffee, with an iced coffee (hers) and drip coffee (his) on the side. A wonderful kick off to start our journey and got us wanting more eggs. A migas taco at Mellizoz Tacos, a beautifully bright blue taco truck just down 1st Street a few blocks from our air bnb. MIGAAASSS. Quite possibly my most favorite taco, eggs and cheese and crushed up tortilla chips perfect for fresh salsa. We're kinda obsessed with migas now. A carne asada and an al pastor taco at Tacodeli, with free prickly pear lemonade! The tacos were amazing but their salsas stole the show. Get the green one! The fish and the chicken mole taco at Veracruz All Natural - at the end of the day, we'd both agree our favorite tacos came from this little truck stop on E Cesar Chavez. It's a little far out there, but worth your trek out, I promise. The green chile pork taco at Torchy's Tacos, a little pre-dinner snack since we just missed El Primo's hours. I like Torchy's because they're consistently delicious. A al pastor and a chicken al carbon taco at Guero's, which were honestly not great tacos but seriously hilarious. Terrible live music and terrible tacos but the mood was high and we were drunk on tacos. Bonus taco! We thought we were done for the night but as we were walking back to the air bnb, Andrew turned to me and convinced me (it didn't take much) for one last taco back at Mellizoz. This time we opted for the Escobar taco, a stewed beef taco with pico de gallo. We ended the night here, with huge smiles and full taco bellies. And some other tacos we devoured during Austin! Our first meal was actually Torchy's Tacos, at their trailer park location. We got the Democrat (barbacoa) and a migas (migas migas migas) taco - get the migas. Always. The chorizo and egg and bean and egg tacos at El Primo the morning after our taco crawl, because seriously breakfast tacos are life changing. And their homemade flour tortillas blew our minds. A bean and egg and a steak, egg, and gouda taco at Taco Joint, because I wasn't kidding about our newfound love of breakfast tacos. This was a little gem we visited on our last morning in Austin and I'm so happy Andrew found it for us. So now I am status post sixteen tacos and feeling swell. New 2018 goal, eat more of them. Happy end of 2017, friends! Below: the tacos from Taco Joint, our last ones of the trip!